Despite a 50-mile separation, it’s conceivable that Barrow County, Georgia, like its suburban brethren, will eventually be devoured by Atlanta’s ravenous sprawl. Or maybe the once unassuming Northeast Georgia tract, which in the past five years has seen half a dozen industrial firms take root along Highway 316, the area’s major corridor, will pounce first. Not so fast, say the voices in between. Either way, one of the biggest beneficiaries of this progression has been the Barrow County Airport (WDR). Interest finally started picking up about five years ago. Until then it appeared as if WDR would remain a stagnant fixture among Barrow’s more relevant extensions like the Chateau Elan Winery, Fort Yargo State Park or even Road Atlanta. The joint-use facility is currently home to 20 National Guard helicopters and over 150 business and private aircraft. With a location outside Class B airspace, WDR experiences little congestion, making it a perfect place to learn to fly. Air Battle, Inc. (770-231-5053), a hangar leasing and construction business. 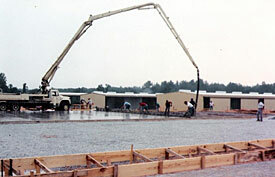 Aircrane, Inc., (770-867-1100) heavy lift operations. Romanair (770-867-4001) FBO services include fuel, aircraft maintenance, catering and aviation accessories. Romanair Heliworx, Inc. (770-867-4001) rotorcraft maintenance. Dragonfly Aviation (678-506-1222) flight school. abAviation & Georgia Avionics (770-867-0002) services include aircraft maintenance, repair and avionics. Restaurant coming soon. the restaurant will be located in the terminal building. Development sites are available at WDR. Please contact the airport director's office for more information. Map of future airport development. Click to open the full sized picture in .pdf format.